What is the strategic reserve of production capacity? What is the reason? For example: Is 20% sufficient? How are overcapacity and undercapacity addressed through Kaizen and Kaikaku? What is the impact on the unit costs of the annual strategic reserve of production capacity? 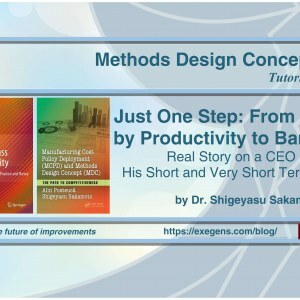 How do we plan Kaizen and Kaikaku projects for a good capacity and profitability management? Losing the battle with real capacity management is a reason to create systemic Cost of Losses and Waste (CLW) and unnecessarily large unit costs. So, how do you plan the Kaizen and Kaikaku projects for cost improvement in terms of decrising or increasing sales and implicitly the need for real capacity, knowing that any improvement must be effective and efficient? I talk about this deeply in my last MCPD book.